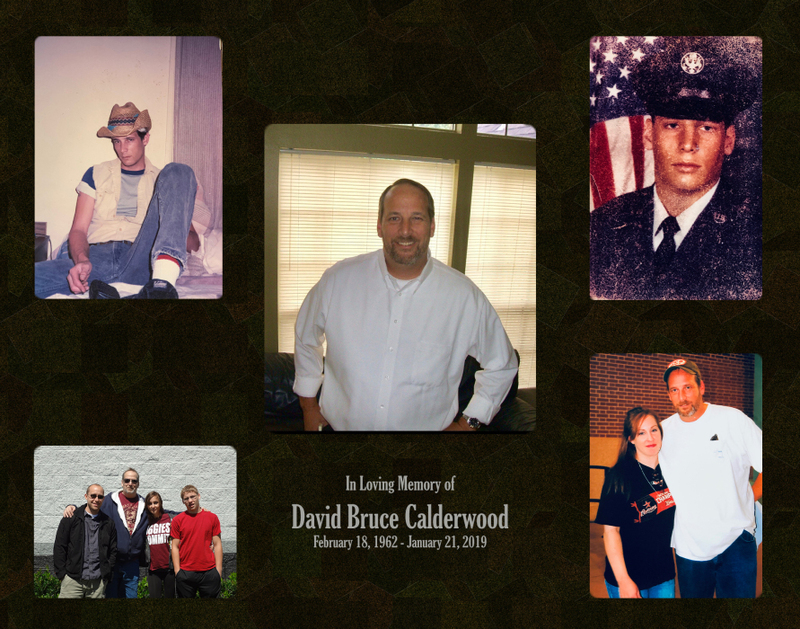 David “Big Dave” Bruce Calderwood, age 56, of Mechanicsburg, passed away at home on Monday, January 21, 2019. Dave was born on Sunday, February 18, 1962 in Lynwood, CA to Marcia Phyllis (Green) Sally and the late Robert Howie Calderwood. In addition to his father, Dave is preceded in death by his infant daughter, Rebecca Calderwood; and his son, Weston Calderwood. Dave’s survivors include his wife, Heather Lea (Williams) Calderwood; his two children: Joshua “Josh” Calderwood and his wife, Charissa, of Cameron, NC, Samantha “Sami” Calderwood of Houston, TX; his two siblings: Jeremy Davis-Vollrath and his husband, Jon, of Rancho Santa Margarita, CA, Cathy Bell and her husband, Mark, of Corona, CA; and his beloved canine companion, Maggie. 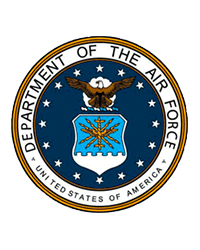 Dave proudly served in the United States Air Force from 1979 until 1986 with the 552nd Air Control Wing, flying aboard the E-3 AWACS as an enlisted aircrew member. He then graduated from Middle Georgia State College in 1995 with a bachelor’s degree in business administration. Dave was currently employed with the Pennsylvania Higher Education Assistance Agency (PHEAA), where he served as the vice president of IT operations. Anyone who knew Dave immediately recognized his love for fishing and anything that involved working with his hands. Throughout the years he rebuilt his own boat, always performed work on his own car, was a skilled wood-worker, and possessed a remarkable ability to fix nearly anything. Not only was he known for his work ethic, which he instilled in his children, but also for having a kind heart and caring about each person he interacted with. Without a doubt he put family and friends before himself, showing how truly selfless of a man he was. In honor of Dave’s military service, patriotism and avid support of armed forces, contributions may be sent to the Fisher House Foundation, Inc. to aid in assisting injured veterans and their families at 12300 Twinbrook Parkway, Suite 410, Rockville, MD 20852, www.FisherHouse.org/Donate. All are welcome to join Dave’s family at his viewing on Tuesday, January 29, 2019, from 11:00 a.m. until time of service at 12:00 p.m. at Myers - Buhrig Funeral Home and Crematory, 37 East Main Street, Mechanicsburg, PA 17055. Dave’s family has entrusted his care to Myers – Buhrig Funeral Home and Crematory in Mechanicsburg, (717) 766-3421. Read Dave’s full obituary and sign his official guest book at Buhrig.com.